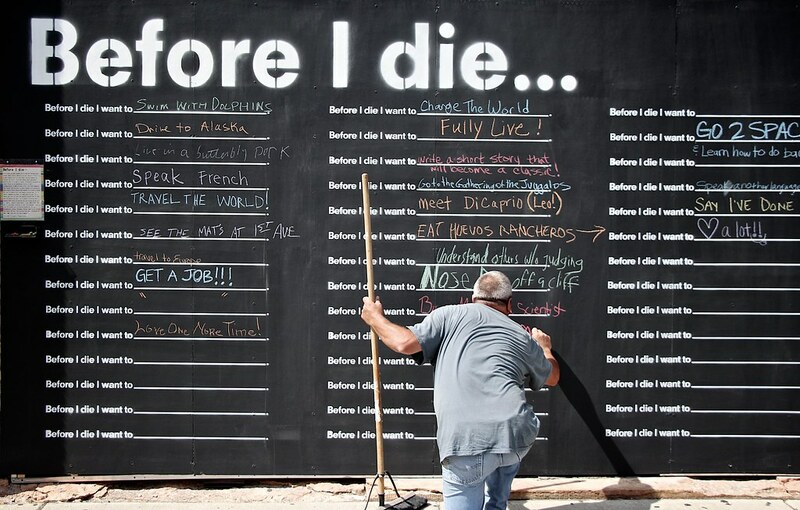 Before I Die is a global public art project that invites people to reflect on their lives and share their personal aspirations in public space. It was originally created by artist Candy Chang on an abandoned house in her neighborhood in New Orleans after she lost someone she loved. This wall is located in the North Loop neighborhood of Minneapolis at 212 3rd Avenue North. The guy writing in the photo wrote that he wanted to 'punch Obama'. Hey, everybody's got their wish, but that's not exactly in line with the positive spirit of the wall.